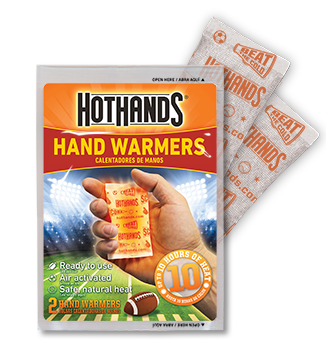 Hothands® HotHands® Game Day Hand Warmers are single-use air-activated heat packs that provide up to 10 hours of continuous warmth for your hands. 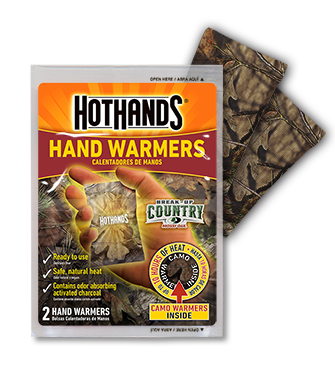 Hothands® HotHands® Camo Hand Warmers are single-use air-activated heat packs that provide up to 10 hours of continuous warmth for your hands. 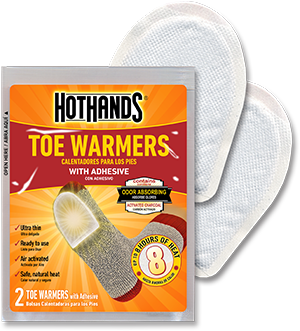 Hothands® Toe Warmers are single-use air-activated heat packs that provide up to 8 hours of continuous warmth for the toes. 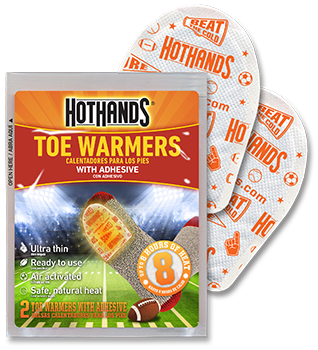 Hothands® HotHands® Game Day Toe Warmers are single-use air-activated heat packs that provide up to 8 hours of continuous warmth for your toes. 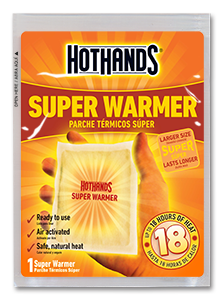 Up to 8 Hours of long lasting heat! 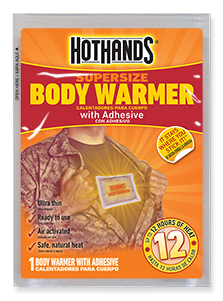 Hothands® Body Warmers are rectangular shaped single-use air-activated heat packs that contain and adhesive on one side so they stay in place where you stick them. 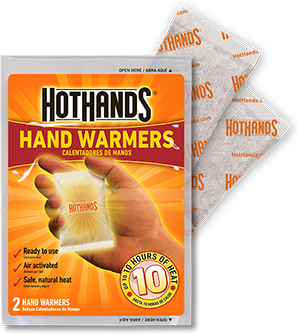 They provide up to 12 hours of continuous warmth for the body.